Counter-Strike has spawned a wild multibillion-dollar world of online casino gambling; it's barely regulated and open to any kid who wants in. On Aug. 9, 2015, two young millionaires worked their way through a pool party on a hotel rooftop in the Hollywood Hills. One was clean-cut, with hypnotic green eyes, the other more rakish, with a British accent slightly muted from the time he'd spent in LA. Trevor Martin and Tom Cassell had rocketed to fame as teens by streaming themselves playing video games and now, at 22, were two of the most recognized gamers on YouTube. The sky was a turquoise blue and the weather a perfect 86 degrees as the pair, known to their fans as TmarTn and Syndicate, found a quiet spot to chat. Both had already leveraged their fame to make themselves wealthy. Martin, who has 3.2 million subscribers on YouTube, was dabbling in real estate; Cassell, whose videos are seen by his 10 million followers, had his own clothing line. Fans would line up to meet them at conventions, and their endorsements were enough to make or break new games. Now, as they settled in under the shade of a palm tree, the men plotted their next fortune in esports. 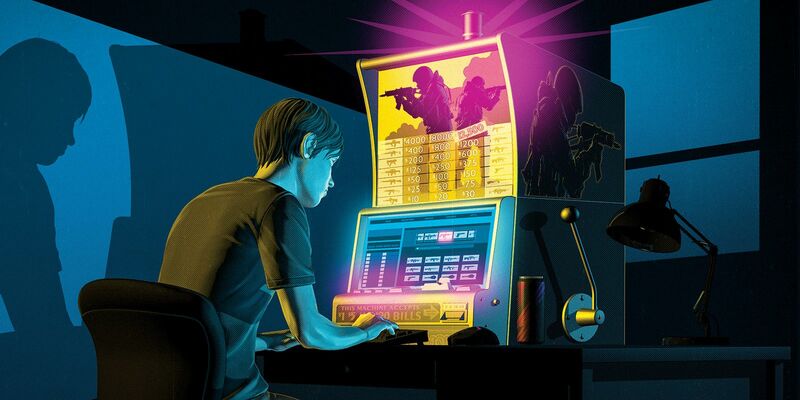 They were about to move into a new multibillion-dollar world that had virtually no regulation -- a burgeoning Wild West of gambling centered on a game they'd spent countless hours playing online, Counter-Strike: Global Offensive. The first-person-shooter game pits terrorists against counterterrorists and was played by an average of 342,000 people at once in 2016. Its biggest tournaments, such as the ELeague Major scheduled for Jan. 22-29 in Atlanta, can have million-dollar prize pools and as many as 27 million streaming viewers. An estimated 26 million copies of the $15 game have been downloaded since its debut four years ago, helping make its manufacturer, Valve, the world's leading distributor of PC titles. While other titles such as Call of Duty offer similar gameplay, one distinctive feature has helped fuel Counter-Strike's growth: collectible items in the game called "skins." Although they don't improve anyone's chances of winning, the skins cover weapons in distinctive patterns that make players more identifiable when they stream on services like Twitch. Users can buy, sell and trade the skins, and those used by pros become hotly demanded. Some can fetch thousands of dollars in online marketplaces. Valve controls the skins market. Every few months, it releases an update to Counter-Strike with new designs. It decides how many of each skin get produced and pockets a 15 percent fee every time one gets bought or sold on its official marketplace, called Steam. Valve even offers stock tickers that monitor the skins' constantly shifting values. But Valve also leaves a door open into the programming of its virtual world, one that allows skins to move out of Steam and into a murky constellation of gambling websites, where they're used as currency. Some $5 billion was wagered in skins in 2016, according to research by the firms Eilers & Krejcik Gaming and Narus Advisors. While about 40 percent of them are bet on esports matches and tournaments, says Chris Grove, who authored a study for the companies, roughly $3 billion worth flows to a darker corner of the internet -- one populated by fly-by-night websites that accept skins for casino-style gaming. Here, the games are simple, the action is fast and new sites open as soon as others close. Plenty of adults visit these sites, but with virtually no age restrictions, kids are also able to gamble their skins -- often bought with a parent's credit card -- on slots, dice, coin flips or roulette spins. At least one site even has pro sports betting. None of this could happen without Valve, a privately held company run by its charismatic co-founder, Gabe Newell. The billionaire, who according to Forbes owns more than 50 percent of the company, has watched his personal wealth rocket to $4.1 billion, due in part to Counter-Strike's success. Counter-Strike shook up the world of first-person-shooter games when it was introduced in 2000. Unlike other war titles made for PCs, it emphasized a striking realism. Its designers slowed the game's pace so the conflicts had more tension. And it emphasized teamwork, allowing players to become skilled at working together. In its earliest form, Counter-Strike limited gamers to a menu of nine weapons and a handful of maps. But as fans began suggesting improvements and game technology advanced, Valve added rocket launchers and grenades and more elaborate plots. Counter-Strike became the company's most visible title as well as the anchor for Steam, which opened in 2003. A decade after its introduction, though, what was once novel had become commonplace in a crowd of first-person-shooter games. In 2012, Valve tried to breathe new life into the franchise by releasing an update called Counter-Strike: Global Offensive, or CS:GO. Elijah Ballard was in sixth grade in St. Louis when he used his father's Visa card to open a Steam account and download the game in 2012. "Once I got it, I didn't really like it," he says. In August of 2013, Elijah decided to check out a newer version of CS:GO called "The Arms Deal Update." The weapons in the game stayed the same -- AK-47s, knives and the like. 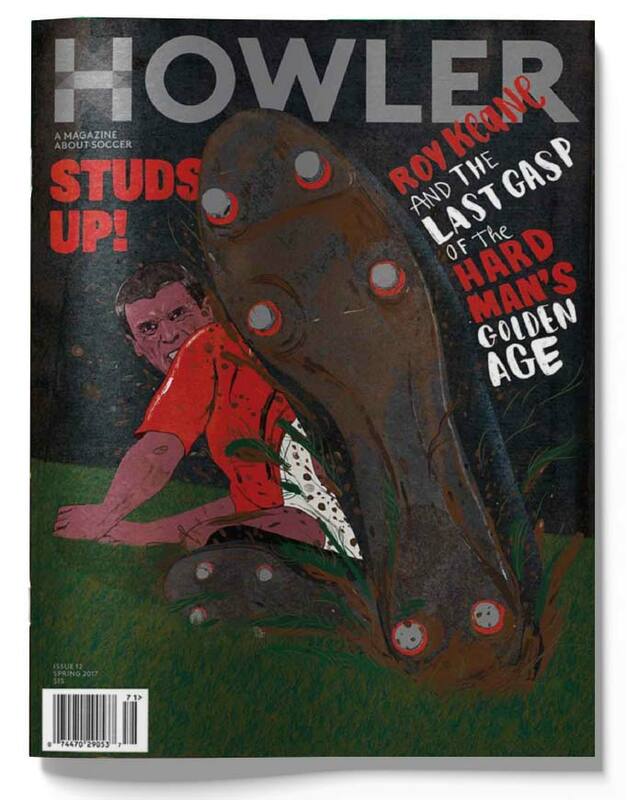 But now players could buy new decorative covers for them, known as skins. The idea wasn't original; Valve had similar items in an earlier game, Team Fortress 2. But the way these skins were won was new and exciting. Thousands of skin variations now exist. During the course of play, gamers can get access to locked cases with as many as two dozen skins inside. To open the locked case, though, a player has to purchase a $2.49 key from Steam that triggers a slot machine that spins to determine which skin the player gets to keep. It's easy to come away with a common one that might be valued at a few cents, but some are so rare they can fetch thousands of dollars. Using his father's credit card, Elijah started buying keys in the hopes of getting a skin for his Tec-9 gun called the Nuclear Threat. Then valued at $120 on Steam, it covered semi-automatic pistols in neon green radiological warning signs. When Elijah came up empty-handed, he dropped keys and turned to another corner of Steam that lets players buy and sell directly to one another and bought a $3 blue-and-white cover for an M4. Valve doesn't technically sell its skins for cash. Instead, every dollar deposited to a player's account gets converted to Steam credits, which can then be traded on the site for skins, other games or ancillary products. Once dollars become credits, the company does not convert them back. That trade-off was fine for most. But it became frustrating for players who wanted to cash out their gains for real money. Here, some saw opportunity: Valve operates Steam on what is called an "application programming interface," a bridge that lets third-party developers engage with a platform. Facebook's API, for instance, allows outside companies to design the myriad apps that link into the service. It's referred to as an "open API," meaning that the programming code is publicly available and accessible. While Steam's open API allows users to do positive things -- many suggest new skins or maps or avatars -- it also leaves the door open for mischief. Outside sites can cross Valve's bridge to insert "bots," or automated programs, which allow gamers to transfer their skins from their Steam accounts to the other sites. There, they could be cashed out for real money. OPSkins, for instance, is an eBay-like peer-to-peer platform where users can freely buy and sell to one another. Those websites also do away with the $400 limit on trades that Valve imposes on Steam. With the open door in place, the skins market outside of Steam is free to set whatever prices it wants. All this free-market buying and selling made CS:GO white-hot. Seven months after the arms update was unveiled in August 2013, Valve had 150,000 users playing it at once -- a sixfold increase from a year earlier. The skin trade meant a river of new revenue for Valve, which profited from game sales and the fees it collected, not to mention new visitors to Steam. But it also created opportunities for entrepreneurs who were imagining other uses for skins -- namely, betting. In early 2014, Elijah saw $100 worth of skins sitting in the Steam account of a classmate and asked, "Dang, where'd you get that?" His friend told him about CSGO Lounge, a site that posted odds on professional Counter-Strike matches and accepted skins as bets. "You'd watch the games on Twitch and it made it really fun because you had money on the line, and your friends would bet on teams too," Elijah says. Since he already had a Steam account tied to his father's credit card, it was simple enough for Elijah to open a CSGO Lounge account and transfer his skins into it. If he lost his bets, he could buy more skins on Steam and move them back to the gambling site. And since Elijah kept his wagers small -- five bucks of skins here, 10 bucks there -- his father, Grady, shrugged when he started seeing a few minor charges from a company called Steam on his Visa bill. "Elijah was 13," says Ballard, a dentist. "Who in his right mind would have thought he was compulsively gambling?" In May 2015, Chris Grove started noticing the heavy traffic on CSGO Lounge. Grove, the Eilers and Narus researcher and editor of LegalSportsReport.com, had been focused on covering the daily fantasy sports boom and was paying only cursory attention to esports. Figuring he should catch up, he created a program to track the number of skins being bet on tournaments and tabulated their values over a few days. What he got back perplexed him. "It showed tens of thousands of dollars being bet on matches," he says. Grove tracked the site for an entire week. It showed the same thing. On Aug. 19, 2015, Grove issued a 38-page report titled "eSports Betting: It's Real, and Bigger Than You Think." In the report, Grove told his clients: "We estimate fans will wager over a quarter of a billion dollars on the outcome of e-Sports events in 2015." That number, he added, was likely to "exceed $23 billion by 2020." What Grove hadn't yet grasped, though he soon would, was how much of that money had already moved past sites like CSGO Lounge, where gamblers were betting skins on the outcome of Counter-Strike matches and tournaments, to websites that offered far more addictive games. In the prior year, Elijah had made the jump to the new casino-style websites. They had names like CSGO Double and CSGO Jackpot, and they offered rapid-fire action on things like coin flips and slots. A new world opened up to Elijah, and with it a greater desire for skins. In early 2015, after he turned 14, he set his sights on two knife skins that he saw a professional player use on Twitch -- a Karambit Doppler and an M9 Bayonet Doppler. They cost a combined $900, but he didn't have enough money in his Steam account. So he sold his iPad on eBay for $200 and added some money he made working at his grandmother's Hebrew school. He billed the remaining cost of the skins to his father's credit card. Elijah expected that "all my friends would see I had those skins and be like, 'Wow, dude, you're cool.'" But they quickly got bored. When the rush of owning the skins wore off, Elijah found himself on CSGO Jackpot, betting them away. He put $10 bets on coin flips and doubled down each time he lost. "I lost 10 times in a row and lost it all," he says. When Grady Ballard saw the charges on his credit card begin to rise, he asked Elijah what he was spending the money on. "My understanding was that he was buying toys in that stupid game or something," he says. Then Ballard received a statement that showed 27 charges totaling $356.85 and exploded. He yelled, "You can't just charge things to someone else's credit card!" Once he calmed down, he told his son that he was taking $800 out of his bar mitzvah savings to pay his debts. No extensive research has been done into skins gambling, much less how many of those who are hooked on it are minors. But Counter-Strike's popularity with kids undoubtedly puts many of them at risk. Timothy Wayne Fong, the co-director of gambling studies at UCLA, says that skins are a highly effective tool for hooking those predisposed to addiction: "These are available and affordable, and they're part of a highly rewarding activity." Kids are "becoming gambling addicts at 13, trying to get [the rarest] skins," says Ryan Morrison, a New York attorney whose firm specializes in digital media and video games. In an effort to supervise Elijah's spending more closely, his mom, Brenda, opened a joint checking account with him. Elijah promptly created a PayPal account, linked it to the checking account and made it his new method of payment on Steam. He racked up five PayPal charges totaling $83.98 in March and early April of 2015, leaving himself with an ending balance of $186.09, according to bank records. Later in April, a pair of $100 charges left him overdrawn. Brenda, who runs an animal rescue charity from her home office, rushed to the bank to cover the shortfall. Another time, after U.S. Bank sent her an "urgent-action required" letter about a $136.84 overdraft, she realized her plan wasn't working. "It was always going to be the last time," she says. "If we just put this money in and got him out of this predicament, then everything would go away and be fine after that. And it never, never was." Along the way, Elijah became adept at manipulating his parents. "He'd come into my office, which is right across from his room, crawl up into the fetal position and say, 'Mom, I did it again,'" Brenda recalls. "That triggered a pity reaction. But then, if I didn't immediately give him my credit card or bail him out, he'd get filled with so much anger that I worried he was going to break something." Once it became clear to Elijah that he needed more money, he began sneaking into his parents' wallets while they were asleep and taking photos of their other credit cards. He figured that if he spread his charges across several cards, no one would notice. "I just kind of thought, 'YOLO,'" he recalls. At the same time, a friend also showed him how to buy sketchy discounted $100 gift cards online and exchange them at Wal-Mart for Steam gift cards and coupons. He did that on six occasions. On his seventh try, a cashier got wise and said she was going to talk to her manager. "I ran away," he says. "Nothing ever happened." The sites that Elijah frequented all had relatively small pots. He could afford to visit others only as a spectator. One of them was CSGO Lotto, a high-stakes skins casino where two of his favorite YouTubers, Martin and Cassell, were rolling in the spring of 2016. Cassell streamed himself playing a coin flip game called Duel. In one instance, he bet skins worth $957 and murmured "Please ..." as a virtual coin spun. When it came up his way, he leaped out of his seat and gave a double middle finger to his computer screen in apparent glee. Martin seemed even more audacious. He streamed himself throwing three skins worth a total of $4,444 into a pot, then waited on edge as 10 bars of a slot machine swirled. When four of the bars turned his way, he ran into another room, screaming, "Oh my god. Woooo, hooo, hooo, hooo! Woooo!" Emboldened, he threw two more skins into the next pot, making it worth $8,826. Despite an odds counter that showed him with an 18.84 percent chance of winning, the slots came up his way again. His reaction was earsplitting. Martin labeled that video "How to Win 13,000 in Five Minutes" and left it on his YouTube channel, where Elijah saw it. Three months later, a computer programmer in Toronto saw it too. A native of India in his 30s, he posts on YouTube under the name HonorTheCall, but he was inconsequential compared with Cassell or Martin. He had barely 1,500 followers. But he'd been tracking a rash of recent reports -- including a widely read one on Bloomberg.com -- that detailed the growth of skins gambling as well as scandals involving celebrity gamers who'd promoted sites without acknowledging secret payments. A regular visitor to Martin's YouTube channel, HonorTheCall noticed that Martin had been spending a lot of time hawking CSGO Lotto. In light of the news reports he had just read, he decided to look more closely into the new site on the scene. After a few keystrokes, he stumbled onto his own jackpot: Incorporation records online showed that Martin and Cassell were the owners of the Orlando-based site. "I just sat there, staring at the screen," he says. That night he made a video laying out his findings. He accused the high-profile YouTubers of peddling gambling to children and ended with an impassioned plea: "These kids, man, they look up to you. They think if their idols can make $13,000 in five minutes, they can too. But we all know that's not true. ... Let these kids go to school, man." Martin was in his Orlando home when he filmed a video response. It began with the admission, "Tom and I were in LA, at a rooftop pool at a hotel, and we were just kinda enjoying our afternoon, swimming around, eating good food," when they started talking about skins gambling. "We really liked those sites," he went on, but he said he felt that certain "improvements" could be made. Calling himself "the type of person who always looks for a problem and wants to solve it," he decided to launch one of his own. Martin denied rigging bets in his favor. He even pointed his hand-held camera at his pet Labrador and said, "I swear to God, on Cooper's life." But inexplicably, a minute later he conceded that he used his own skins on only 70 percent of his bets; the rest were skins belonging to the site, which had been raking in gains from customers' losses. HonorTheCall was furious when he saw the response. "Trevor was just ignoring the facts," he told Outside the Lines in a recent interview near his Toronto home. So he emailed a friend on Reddit who had an online relationship with Martin and asked him to open a channel. To his surprise, Martin responded via Skype with what seemed like an olive branch: "I will be a man and tell you that I made a mistake not being totally transparent." Martin declined to speak with Outside the Lines. But he spent three hours with HonorTheCall veering between confrontation and contrition, seemingly unsure how far to take either. One minute he was typing, "I messed up by not being completely transparent"; the next, he was offering what seemed to Honor like an unseemly deal: "Would you like to do a video together on your channel? I'd love to hop on." When all that went nowhere, Martin suggested that he'd been slandered. "And it can be prosecuted." Before long, Honor posted excerpts of the chat transcript. (Martin had thought it was going to be confidential.) Honor would make several videos on the subject, but once the rush wore off, the programmer began feeling uneasy. He was a family man trying to balance a day job at an IT company with a nighttime hobby as a crusader. How long could he keep trying to be an amateur sleuth, especially when no one with a real law enforcement job seemed interested in the new sites that were opening in tax havens like Antigua or in untraceable locations in Russia or China? His unease grew when someone posted a message on his YouTube channel that reminded him why he stayed anonymous. It read, "Just f---ing kill yourself." The Washington State Gambling Commission is housed in a boxy office park in Lacey, about an hour from Seattle, and run by David Trujillo, a no-nonsense agent who's spent a career policing tribal casinos. His staff of roughly 100 employees investigates crimes from money laundering to dogfighting, and though his budget has been cut 20 percent in the past three years, he says, "We're doing our best to keep up." Early in 2016, Trujillo's staff came to him with concerns related to another of his jobs: enforcing the state's ban on internet gambling. Trujillo, 53, doesn't play video games and didn't know anything about Counter-Strike. But he was dumbstruck when his staff told him about all the money flowing into the casino sites in the form of Valve's skins. One of the arguments often used to justify skins gambling is that virtual items aren't a real currency and thus aren't subject to traditional gaming laws. That's why the major skin gambling sites and skin cash-out sites have typically remained separate -- so the gambling sites can maintain that all that's being wagered are virtual items. But Trujillo didn't buy a word of it. If skins were easily being exchanged for dollars, and people were winning and losing real money, he believed it was gambling. Trujillo was especially concerned about Valve's API. There are many good reasons for the company to maintain an open API: In a talk with students at the University of Texas in 2013, Newell explained that "ten times as much content" came from customers as his own employees. "Once we start building the interfaces for our users to sell the content to each other, we start to see some surprising things," he said. But Trujillo was focused on how Valve's API allowed players to move their skins to gambling sites. All around him, the uproar over daily fantasy betting was raging, but to Trujillo, what was unfolding with skins was just as bad -- if not worse. The problem was that the laws he enforced never anticipated digital currencies, much less set out rules about how to deal with them. He was facing a multibillion-dollar free-for-all that had less regulation than the tribal bingo parlors he oversaw. On a balmy 61-degree day in mid-February 2016, Trujillo sent one of his agents on a fact-finding mission to Valve's headquarters, an hour away in Bellevue. The agent asked for information about Valve's API and whether the company could shut off the access that it gave gambling sites to its skins. But according to Trujillo, that agent left empty-handed, and several follow-up emails went unreturned. Valve was slow to react to the building crisis. Its first public comment about the ways its skins were being used didn't come until five months later, in July 2016 -- three years after skins were added to the game. And even then, it was left to a company developer to post a four-paragraph statement promising that Valve would get tough. By then, Elijah was waking up in the morning to check the bets he'd made the night before on CS:GO tournaments in Europe. Then he'd go to school to bet more on the computers in his high school library. He even found a site that accepted skins for bets on pro sports teams and won enough on the New Jersey Devils to cash out and use the money to buy St. Louis Blues tickets. Then he put another few hundred bucks in skins on the Blues to win the NHL conference finals and watched as they lost to San Jose. "I kept thinking that if I just bet smart, take my time and don't get greedy, I can do this," he says. "But then I'd always get greedy and bet and lose." The breaking point came last summer, after he fractured his arm trying out for his school's baseball team. When he looked in the mirror, he saw an overweight, unhappy kid who'd lost most of his friends and whose own mother had become suspicious of him. While visiting the YouTube channel run by HonorTheCall, he saw a report about a class-action suit that had been filed against Valve in Florida. As part of the report, the Toronto programmer posted the email of a Kentucky lawyer who was behind the suit, Jasper Ward. Elijah scribbled down the email address. Then, while his parents were making dinner, he typed out a message. Valve co-founder Gabe Newell is the closest thing the video game industry has to a Steve Jobs. The long-haired 54-year-old has a massive following on Reddit and the admiration of Hollywood directors like J.J. Abrams, who is adapting his games to the screen. Newell declined to comment through a company spokesman for this story, but in his appearance at the University of Texas, he gave a rare glimpse into his philosophy of games and the virtual worlds they create. "What is our idea about what games are?" he asked. "It's going to sound a little strange at first. It's that games are a platform for maximizing productivity for gamers, and goods and services for other people. There's, like, no use of the word 'fun' in there." He elaborated: "You start to see this thing happening in lots of games where you have markets and auction houses, and trades in goods between different customers. And the appalling thing that happens is that someone will play your game 20 hours a week for four years, and then the value of that all goes to zero. It's like you bought a house, made a lot of improvements on that house, and then when you move to your new house, you have to start over with no value for the investment you made." Newell was looking for a way to let players keep their "investment" long after they stopped playing a game. Skins did just that. But the billionaire also revealed that he was concerned about unleashing something that he couldn't control. "I'm worried that there are a set of initial conditions that have different outcomes," he said. He hoped to avoid those unintended consequences, which he called "turbulence," by "putting in the right kinds of structures." If those structures were intended to stop the $5 billion gambling craze that's arisen around Counter-Strike, they have failed miserably, says Morrison, the attorney who specializes in video games. "Valve, all of the websites that are involved with it, all of the celebrities, they all knew this was happening," he says. "They were all profiting off of it instead of saying, 'Let's make our own regulation.' They all said, 'We're going to do this until we get caught.'" Last July, after Jasper Ward, the lawyer Elijah found online, filed the class-action suit against Valve in Florida, Valve sent cease-and-desist letters to 23 websites demanding that they stop connecting to Steam. By fall, the company said it had sent more than 40 such letters. Grove, the gambling analyst, predicted that skins gambling would drop 85 percent in 2017 as a result. Now he's not so sure. About half of the sites that Valve targeted are still open, and new ones are opening outside of the U.S. every day. Valve's position is that its hands are tied -- it can't shut down gambling sites without fundamentally changing its API in a way that disables customer-friendly features it needs. But Grove's website, LegalSportsReport.com, has offered a range of potential solutions, including encouraging Valve to "continually police third-party offshoots of its own ecosystem." "Valve is the linchpin," Grove says. "From our perspective, the future is inextricably tied to the comprehensiveness of its crackdown. If it's anything less than complete or sincere, we believe we will see a significant market re-emerge." The legal backlash, meanwhile, is just beginning. Elijah is one of three named plaintiffs in Ward's lawsuit, which the lawyer has moved from Florida to Washington state. Ward claims more than a thousand potential clients have inquired about joining the suit. It alleges that Valve "knowingly allowed, supported, facilitated and/or sponsored illegal gambling." Valve is seeking arbitration instead of a trial, a move Ward says he'll resist. Ward has also filed a suit in Miami on behalf of 44 plaintiffs that accuses Martin and CSGO Lotto of engaging in "deceptive trade practices." Martin's lawyer is seeking to get the case dismissed. He's also trying to fend off a Federal Trade Commission inquiry into whether the YouTube star violated a law that bars celebrities from shielding their ownership in products they pitch. In a video message to his viewers last summer, Martin seemed contrite, saying, "I do feel like I owe you guys an apology. ... I truly, honestly hope you guys give me an opportunity to get your trust back." But the video was taken down shortly after it was posted. His lawyer said Martin would have no further comment. Cassell, who offered his own apology on Twitter, did not respond to an email seeking comment. Remarkably, the gamers seem to be as popular as ever. Cassell still has nearly 10 million YouTube followers. And Martin filmed himself in November going on a vacation to South Beach in Miami, where he rented a gaudy penthouse with his girlfriend. "I feel like we went a little overboard," he said gleefully in the video message, panning around the spread. "But I feel like overboard is a little bit of a theme in these vlogs." "It may get some of these kids their money back," he says. "But it's not going to change what's happening. It's not going to save anyone else's kids." The cost of opening a skins gambling site is so low -- in some cases just a few hundred dollars -- and the potential returns are so high that Morrison says he knows developers "who've spent a fortune in marketing because they know they'll make it back in the first day." In September, Trujillo sent a letter to Newell that threatened the billionaire and his executives with "possible criminal charges" if Valve continued to facilitate "illegal activities." In a response, a Valve lawyer dismissed the agent's concerns as misplaced, arguing that Valve has "no business relationship" with gambling sites and doesn't "encourage" its customers to use them. But Elijah blames Valve for many of his problems. At rock bottom, he was so hopeless that he called a gambling hotline for help with suicidal thoughts. "Like, I was 16 years old and I couldn't ... I lost all this money and I wanted to end my life," he says. "It was just really bad." These days, he's going through counseling and considers himself a recovering addict. On a recent afternoon, he logged on to his PC and called up his Steam account. It showed that he had made a total of $8,365 in purchases since joining in 2012. He looked at the balance that is left: 4 cents. "It's almost like a whole different person did that," he said, staring at the screen. "Looking at that, it's not me." He paused. "At least, that's not who I wanted to be." Shaun AssaelAssael is one of the original staff members at ESPN The Magazine, and a member of the network's Enterprise & Investigations Group. He is a contributor to Outside the Lines and the author of four books. His most recent is "The Murder of Sonny Liston: Las Vegas, Heroin and Heavyweights," a Boston Globe best sports book of 2016.